The Audit requires three steps starting with information gathering, then the home evaluation and testing, and finally preparing the report with recommendations. Depending on the size of your home and what is found, the audit typically requires 6-12 hours to complete with 3-6 hours of time to accomplish the in home portion, depending on the size of your house. The interview with the homeowner is very important. You live in the house and you know which rooms are too cold or too hot! 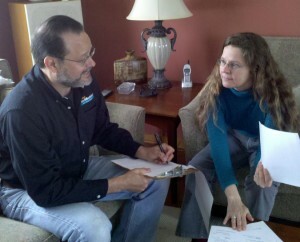 During the interview we review general information about your home as well as your concerns and observations. We also need to get your utility history, so that we can examine your energy usage over time. This information is available from your utility. 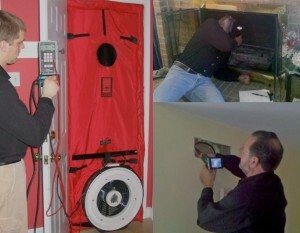 Your home energy auditor in action! DSB Energy Services will start your audit with a thorough walk-through – both indoors and out. You’d be amazed what we can learn just by walking around. But that’s just the beginning! Next, we conduct a blower door test to assess air leakage levels through the building envelope. 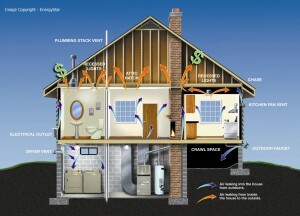 Most American homes have very high air leakage rates. When appropriate, we will use an infrared camera to find temperature differences in different areas that could be indicators of poor insulation or air sealing. 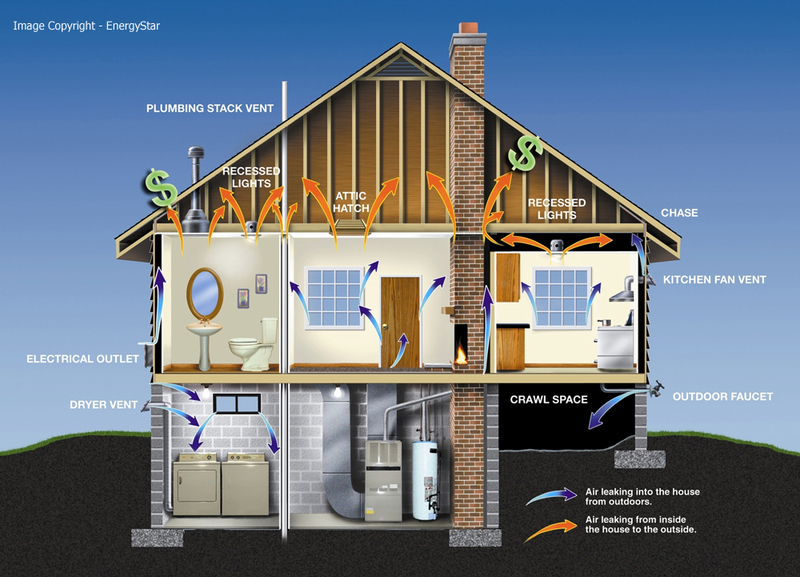 We may also test for air leakage in the duct work of forced-air HVAC systems. We also perform functional and safety tests on your combustion appliances, including carbon monoxide levels and draft testing. The combustion safety check verifies that all combustion appliances such as water heaters, furnaces, and stoves meet standards for CO emissions. 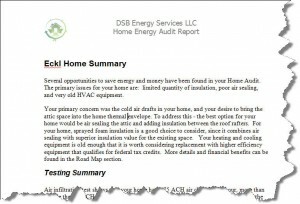 The home performance assessment report will provide you with a scientific, objective view of your homes situation. We will document what we have found and prioritize repairs in order – from must-do to nice-to-do – so the biggest problems can be solved without making smaller problems worse. We will also help guide you regarding which fixes are do-it-yourself (DIY) skill level, or which will require expert help. 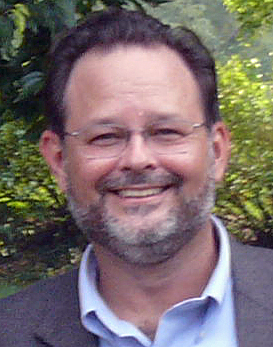 Finally, we’ll review the financial assistance that you may be able to get from the state of Pennsylvania. And we’ll walk you through the federal tax credits that apply to the measures we recommend.